This video demonstrates Tong Engineering’s market leading turnkey solution. Showcasing vegetable and potato processing line – including washing, grading and packing. Tong have a continued commitment to Export market requirements, and we recently commissioned this potato processing line in France. 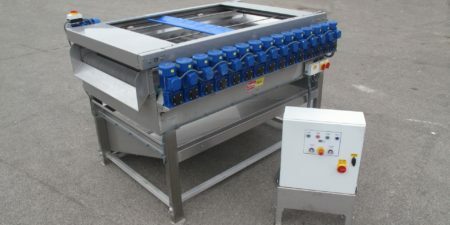 The potato washing line feeds crop onto a sponge drying machine. 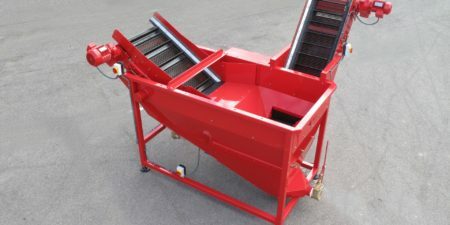 As well as featuring a high capacity potato barrel washer with integrated potato destoner. 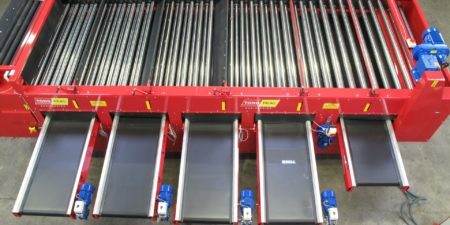 Alongside potato grading with a Tong lift roller grader, this potato processing line also has an integrated Newtec optical potato sorter. Watch with envy as these dirty potatoes are gently cleaned. Before being transferred onto the next stage by a conveyor. They then go through the optical potato sorter, removing any abnormal or imperfect potatoes. This potato processing line is controlled by Tong’s Pro-Series HMI touch screen series. These advanced, intelligent controls have the latest diagnostic and maintenance modules. Providing ultimate machine control and minimal downtime. 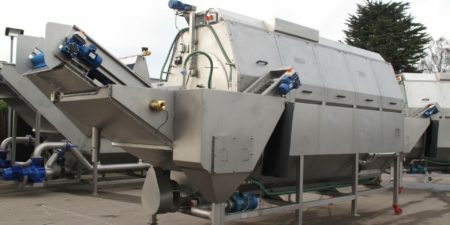 For more information on Tong’s wide range of other vegetable and potato processing lines and vegetable washing equipment, click here.